Having read Mary Kubica’s debut psychological thriller last summer, I was equally piqued to jump into the new one, PRETTY BABY (which released yesterday, July 28th). And now I know why…it’s brilliant, riveting, and at times absolutely devastating. I plowed through PRETTY BABY in about two days. And today, I am honored to sit down with Mary and chat about her second book. Leslie Lindsay: Welcome back, Mary! I loved having you last summer and so appreciate you popping by again today. You tackle so many issues in PRETTY BABY—homelessness, foster care, abuse, and mental illness—yet it’s handled with such aplomb, I’m curious how you were able to knit together such a riveting and complex storyline? What was the initial inspiration for you? Mary Kubica: Thank you so much for having me back, Leslie! This image of Heidi coming across a young homeless girl holding a baby beside the Chicago ‘L’ train was the first inspiration for this novel, and that image became the opening pages of the manuscript. I didn’t yet know who the girl was or what her story would be, and initially planned to make Heidi and her husband, Chris, the focal point of PRETTY BABY. But once I plunged into the writing process, I knew that Willow, our homeless girl, needed to be able to tell her side of the tale as well. Her voice needed to be heard, and I’d have to guess that for most readers, she is the character whose narrative will leave a lasting impression. Willow has quite a story to tell. L.L. : How has your writing routine evolved since your first book, THE GOOD GIRL (Mira, 2014)? Mary Kubica: In all honesty, it hasn’t changed much. I’m a true believer in If it ain’t broke, don’t fix it, and so have tried to stick to my same writing routine. As with THE GOOD GIRL, I had little ones I home while writing PRETTY BABY, and so got in the habit of waking early in the morning to get my writing done. I try not to impose rules on myself as a writer; if the writing is flowing well, I write, and if it’s not, then I find other things to do and come back to it at a later time. As with THE GOOD GIRL, I didn’t outline PRETTY BABY, but rather allowed the storyline to take a natural flow. For me, I find this works quite well. L.L: So no more writing in secret?! Mary Kubica: Ha! No, no more writing in secret, though to be honest, I’m certain there are some people in my life who still don’t know I’m an author, and even for those who do, I’m quite guarded about it. I find it hard to call myself that – an author – out loud for some reason, and tend to be a bit of an introvert anyway; I try hard to avoid talking about me. But it’s been wonderful getting to share the experience the second time around with family and friends who have been so supportive, and even more, getting to meet other authors this past year with whom I’ve been able to bond over our shared experiences. L.L: PRETTY BABY is written from the perspective of three main characters—Heidi, a do-good middle-class wife and mother, Chris—her financial-driven corporate banker, and Willow—the young homeless girl with a baby. Can you tell us a few truths you learned from each of these characters? Did anything surprise you? Mary Kubica: Without giving too much away, I can tell you that these characters are quite multi-dimensional, and with them, you can never take anything at face value. They’re all harboring secrets. They truly did surprise me each and every day, Leslie. Again, as an author who doesn’t outline, I literally make the story up as I go. It’s such a fun endeavor to witness the twists and turns the characters and storyline will take from that first day I sit down and begin the novel. Back in January of 2013 when I started PRETTY BABY, I could never have dreamed of the way the storyline would play out. L.L. : Shifting gears a bit…a few years ago, you were ‘just’ a suburban mom and wife volunteering in an animal shelter and now…a national bestselling author on tour. First of all—congratulations!! How might an author maintain her (or his) humility and stay true to the craft of storytelling? Mary Kubica: It’s a very strange conundrum, in all honesty. I find it hard to talk about things like agents and book tours in my suburban mom life, and really do keep the two very separate. Though most everyone knows I’m an author, I keep specifics – regarding the writing process, book sales, publicity, etc. – to myself. My life has changed quite significantly as you may imagine, and yet in some respects it hasn’t changed at all. I am still the animal shelter volunteer and suburban mom who writes novels in whatever spare time I can find. The only difference now is that from time to time I pack a few dresses and hop on a plane, and get to play the role of bestselling author. I supposed I live two very separate lives. L.L. : What’s your favorite diversion from writing? Mary Kubica: My kids! Now that they’re in school over 6 hours a day, I look forward to any and every time I have with them, and try to pack our time together with fun stuff. They’re growing up far too quickly for me. L.L. : What books have you read recently—and what would you recommend? Mary Kubica: Oh gosh, I have read so many terrific books lately, so these are just a few of them: Pam Jenoff’s World War II historical fiction novel THE LAST SUMMER AT CHELSEA BEACH, Karma Brown’s debut women’s fiction novel COME AWAY WITH ME, and Holly Brown’s A NECESSARY END, a truly twisted psychological thriller that I couldn’t put down.I also got a sneak peek at some ARCs by T. Greenwood and Carla Buckley – be sure to look out for them. They’re certain to please! L.L. : Can you tell us what’s next for you? Mary Kubica: I’m finishing up edits on my yet-unnamed third novel, which should release in 2016, and have also begun working on my forth! If all goes according to plan, that will release in 2017. Be sure to stay tuned for more details! L.L. : Thanks so much for being with us today, Mary—and best of luck on tour!! Mary Kubica: Thank you so much for having me, Leslie. The pleasure is all mine. 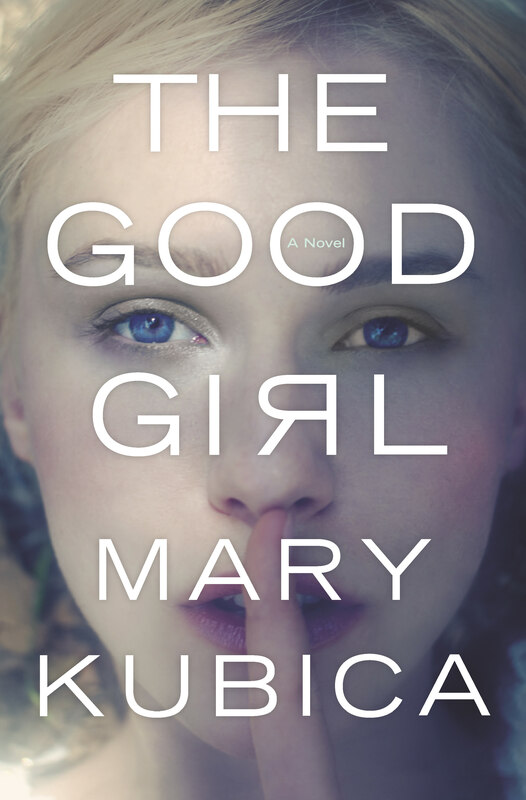 Bio: Mary Kubica is the national bestselling author of The Good Girl. She holds a bachelor of arts degree in history and American literature from Miami University in Oxford, Ohio. She lives outside Chicago with her husband and two children. Pretty Baby is her second novel. For more information, head over to Mary Kubica’s website, Find her on Twitter, and connect on Facebook.